Today online videos are arguably one of the most popular ways we learn, sell, and entertain ourselves. And it’s no wonder, considering by 2021, 82% of all internet traffic is predicted to be video, according to Recode. Video has become a powerful marketing tool thanks to social hosting platforms like YouTube and Vimeo. But when it comes to marketing your videos, which one is best for your business? 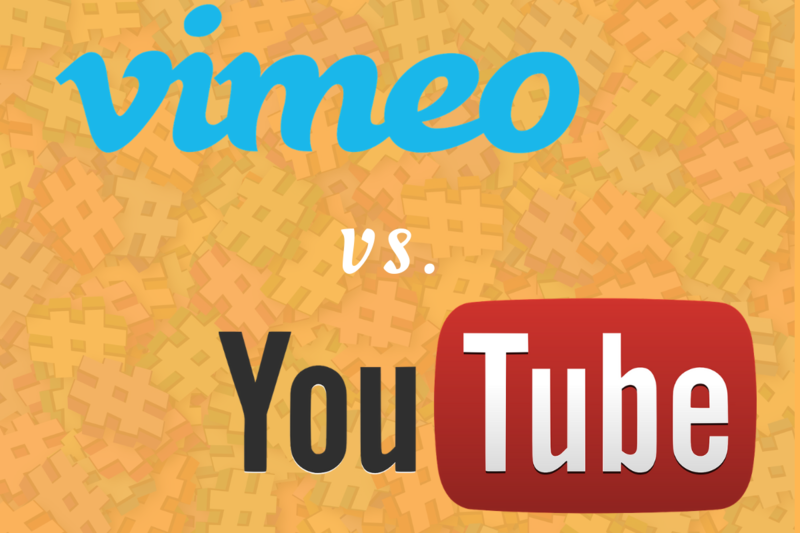 In this guide we will explore the pros and cons to using Vimeo vs. YouTube for marketing. Founded in 2005, YouTube is by far the largest social video sharing platform on the internet. From baby giggles and makeover tutorials to movie trailers, there are no limits as to what you can find on YouTube. If you have internet and a desire to make a video, you can connect, upload, and share content. Like YouTube, Vimeo is a video sharing platform that was started back in 2004 by filmmakers that wanted to share their creative work and personal moments from their lives. The idea caught on and attracted like-minded people. Today Vimeo is the preferred tool for 70 million creators such as film artists, animators, and musicians. Vimeo, while smaller than YouTube, has built a community geared towards a more “artsy creative” niche. As mentioned above, when it comes to audience reach, YouTube takes the cake with 1.8 billion monthly active users. Furthermore, YouTube is owned by Google and is the second most searched site just behind Google itself. YouTube is also available in every country and more than fifty languages. While their reach is limitless, the size of YouTube is also its downfall. There are so many options for viewers and the competition is extremely high. Even if you’ve produced an amazing, high-quality video, there is a chance it may get lost among the noise. Because YouTube is so big, free, and has so much competition, its viewers are not always the most professional, constructive people either. YouTube’s audience can be ruthless. Today there are 240 million active monthly Vimeo users. Because Vimeo is smaller and more niche, your videos have a better chance of being found and followed within their community driven platform. There is less competition than on YouTube and sometimes quality over quantity is better. With that being said, Vimeo’s numbers simply cannot compete with YouTube. Your potential for video traffic is significantly less. Vimeo’s audience, since it is smaller and built into a community mindset, tends to be more constructive and less aggressive than on YouTube. Since YouTube is owned by Google and is the second most popular site on the internet, YouTube is the best option for SEO. YouTube videos also rank for Google keywords. For example, if you type in “how to style short hair” the top page one positions all belong to different YouTube videos. Due to YouTube’s SEO success one must ask the question, is Google showing favoritism here? While it is certainly possible for Vimeo videos to rank for certain Google keywords, it just doesn’t have the same SEO capability as YouTube. YouTube is a free service, literally anyone can upload and share videos without having to pay anything. Businesses can also take advantage of using YouTube for free. For those with budget constraints, YouTube is a clear winner here. Vimeo offers a basic version for individuals but with limited features such as 500 MB of storage per week. There is a 30 day free trial for business plans which are paid annual subscriptions based on a tiered pricing model. Because YouTube’s service is free, they make their money through advertisements. Whenever you open a YouTube video, you’re usually forced to sit through 5-6 seconds of the ad before you are given the option to skip it. This can have a negative impact on some viewers, however, YouTube does offer a Premium subscription which is ad-free. Vimeo makes their money though paid subscriptions, so businesses and video producers can offer great videos without annoying ads popping up. Their business model is working for them so it looks like this great feature won’t be changing anytime soon. If your YouTube channel has 10,000 views or higher, YouTube invites you to join their Partner Program by signing up for Google AdSense. 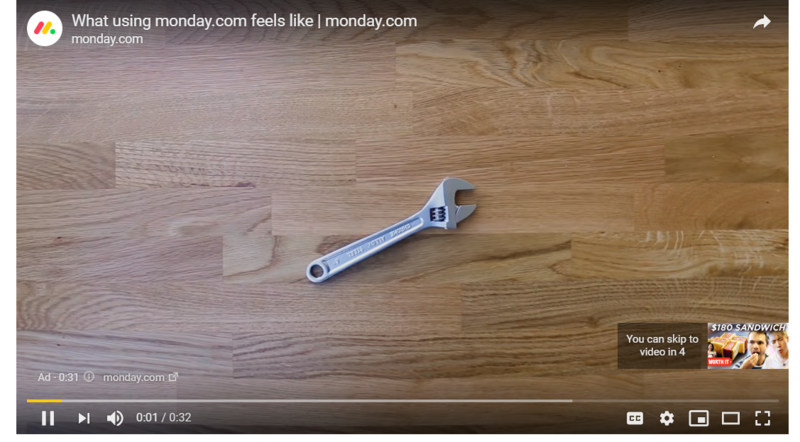 Basically, YouTube gives you a cut for the ads that are displayed on your video. Many YouTube content producers also use services like Patreon which allow viewers to support their favorite channels by giving a donation. Of course, content creators can also capitalize on making money by selling their products and services through their videos. Since Vimeo doesn’t have any ads, there is no incentive there to capitalize on. However,one cool feature they offer is Video On Demand, so subscribers can pay you to see your videos. In order to active this feature you need a Vimeo Pro account. Similarly to YouTube, content creators can also sell their products/services through Vimeo, find sponsors, and use services like Patreon to receive donations from viewers. YouTube has fantastic analytics reporting that helps you understand who your audience is, where they are coming from, and how they are engaging. You can analyze stats on views, traffic sources, audience retention and even gender. The best part is YouTube’s analytics are free to access. Vimeo also offers great analytics features, similar to YouTube. However, in order to dig deep into statistics, you will need to pay. Only the basic Vimeo analytic features are free. According to YouTube, by default, you can upload videos up to 15 minutes long. For those that have a registered YouTube account, you can also upload videos longer than 15 minutes as well. The maximum upload file size is 128GB or 12 hours. YouTube also does not limit the amount of videos you can upload. For those using Vimeo for free, the maximum is 500MB per week and 10 files per day, however, Vimeo's paid subscriptions offer better upload and storage limits. Their Plus Plan allows 5GB of video uploads every week with the maximum file size being 5GB, though there is no limit as to how many videos you can upload. The Pro account comes with 20GB of storage space each week but each file size must be less than 25GB. 300 videos are being uploaded to YouTube every minute, and they need to be processed before they can go live. Compression speed and quality must be balanced in order to successfully handle that upload volume. Because of YouTube’s size and business model, it is often associated with quantity over quality. YouTube video quality is good, but due to its sheer size and volume, it’s not the best. Since Vimeo has restrictions on their upload quantity and size, their Plus, Pro, and Business subscribers will have much higher quality looking videos due to a higher bitrate. The same video uploaded to both YouTube and Vimeo will be higher quality on Vimeo. Here is an example posted on Medium.com of Vimeo vs. YouTube’s video quality. YouTube has a fantastic video editor that is free and easy to use. You can upload and trim your videos, add images, filters and enhancements, and it even lets you create videos from previously uploaded videos and photos. Vimeo also offers a video editor but it doesn’t have as many features as the YouTube video editor. For example, Vimeo doesn’t allow you to add links within your videos. One great feature about Vimeo though is that they allow you to change or update a video without having to change your URL and losing your comments and statistics. On YouTube, if you want to change a video, you have to change the URL as well. Optimize: Since YouTube is linked with Google, it is important to optimize your YouTube videos and channels with keywords that you want to rank for. For example, maybe you want to rank for “how to play a guitar”, you should include these keywords in your video title, tags, and description. You may also want to consider adding a transcript to make full use of keywords and relevant keywords. Be Unique: Since YouTube has so much competition, before creating and launching your videos on YouTube you need to find a way to stand out from the crowd. What can you offer people they would give them an incentive to follow you? Look at the competition and see what they are doing, how can you do it better or differently? Remember that consistent branding and messaging will help you set you apart as well. Making your YouTube channel unique is very important to ensure that you stand out from the crowd. Video Thumbnails: Video Thumbnails are what get shared and incentivize people to click through to actually watch your video. Designing captivating and intriguing video thumbnails is extremely important. Use high quality images and bold, simple titles to make them stand out. According to Neil Patel, clean and attractive thumbnails can increase your YouTube video engagement by 154%. If you prefer Vimeo over YouTube, it is certainly a good option for marketing your videos within a specific niche and prefer quality over quantity. Know Your Target Market: Because Vimeo’s audience tends to be a more affluent, niche group it is extremely important that you understand who your target audience is and what they will want to see. Because there are less people on Vimeo’s network, you need to be strategic on what you upload and who you are uploading it for in order to make the most of your efforts. Engagement: Since Vimeo’s audience is tighter knit then YouTube’s, engaging and responding to viewer comments is very important. When people comment and provide feedback on your videos, respond and start a conversation. By actively interacting with Vimeo’s community you will be able to build a network and loyal following. Promote: Due to the fact that Vimeo has a smaller community, it is extremely important to cross promote your Vimeo videos on your website and social media channels like Facebook and Twitter. The best way to include your Vimeo videos on your website is embedding them with a social media aggregator. A social media aggregator will automatically aggregate your Vimeo videos daily to the feed and show your viewers’ comments and interactions. Viewers can enjoy your videos without ever having to navigate off of your website. Vimeo vs. YouTube for Business? If you’re just starting out, have a small blog or a limited marketing budget, YouTube is probably your best bet. The fact that it’s free and easy to use is a no-brainer for many companies. If you can successfully optimize, stand out among the competition, and promote your videos, YouTube will reward you. For companies that offer courses or trainings and want higher quality videos without any ads, Vimeo is the best option. In addition, if your target audience is comprised of creators and artists, Vimeo would also be the preferred platform for your video marketing strategy. So which is better for your marketing strategy, YouTube or Vimeo? Which one will you choose? Share your thoughts in the comments below!